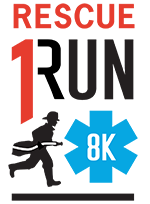 The Rescue 1 Run 8K is a USATF-certified road race owned and hosted by the Bethesda-Chevy Chase Rescue Squad. All proceeds benefit the Rescue Squad. When you choose to run the Rescue 1 Run 8K with us, you’re choosing to support your local fire rescue organization. The 6th annual Rescue 1 Run 8K and Family Fun Walk will be May 5, 2019 at 8:00AM. The race starts next to the Bethesda-Chevy Chase Rescue Squad station at Old Georgetown Road and Battery Lane. Here local volunteers have been answering the call for over 76 years. You can drop off your bag, soak up the atmosphere, and get ready to support your local world-class rescue squad mile by mile. The course runs through the heart of Bethesda, winding through Old Georgetown Rd, Beech Dr, Linden La, Pooks Hill Rd, Fairmont Ave, and Woodmont Ave, with a couple of good hills on Rockville Pike/355 to keep you on your toes! The course will take you through the heart of the BCCRS response area, past Suburban hospital, the closest trauma center, and through just a small fraction of the neighborhoods in the Rescue Squad’s vast response area. You will finish at the Rescue Squad, close to the starting line on Battery Lane. 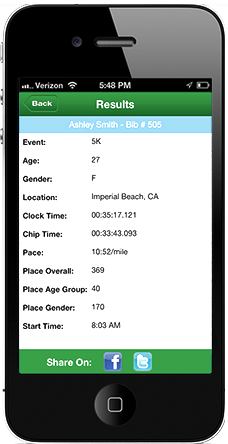 Here you can celebrate your achievement, and enjoy post-race festivities! Registered participants and volunteers will receive an exclusive Rescue 1 Run T-shirt. We are excited to return to Road Runner Sports in Rockville for packet pickup! Please join us May 4th from 12-4:30. Grab your bib, shirt and some shop with some great discounts while you are there! When you choose to run the Rescue 1 Run 8K with us, you’re choosing to support your local fire rescue organization. This event is hosted by the Bethesda-Chevy Chase Rescue Squad and all proceeds from the event will benefit the Bethesda-Chevy Chase Rescue Squad. This money stays in your community to serve you and your neighbors with state of the art emergency medical, fire, and rescue services. The Rescue Squad does not receive regular appropriated funds from any local, state, or federal government. Instead, we raise almost all of our $2 million annual operating budget from individual donors, foundations, businesses, and occasional state and federal grants. The Rescue Squad is a registered 501(c) (3) nonprofit organization. When you choose to run with us, you’re choosing to support your community heroes.